March 2016 marks F50’s two-year anniversary and I would like to take a moment to thank all of you for being a part of the F50 journey as a startup, fund and a global investment community. I sincerely thank the entire F50 Team for their passion and for believing in our mission to help extraordinary entrepreneurs build and grow the next generation of world-class companies. F50’s humble beginnings date back to March 2014 in the garage of my home with my co-founder Martin Stroka and with the help of a close group of friends. The last two-years have been an incredible ride, with many learnings along the way from both our achievements as well as our mistakes and challenges. The process has been rewarding and we look forward to creating positive impact for you and our wider startup and investor community in the coming years. Our biggest achievement thus far, has been creating a global network of investors and founders and connecting them to help fuel the startup ecosystem. F50 has also invested in 28 extraordinary companies, including: Oculii, Voke VR, Plastiq, Robotic Vision Technologies, Knightscope, Flirtey, DarcMatter, VentureShares, Gummicube, and many more. These milestones would not have been made possible without the support of the F50 team and their contributions. Each member of the team has played a very important role in the continued growth of the company. F50’s past and future beyond 2016 is also credited to its biggest supporters – our investors, limited partners, board of advisors, and industry partners – whose vision, dedication, and expertise have guided us through thick and thin the last 48 months. I am grateful for their strong support and for believing in the vision of F50. As I look ahead to this year, we are laser focused on building a strong syndicate of amazing startups that our investor network will find of great value, while continuing to build on the strength of the F50 brand on a global scale. I am excited about this journey and confident that the best of F50 is yet to be seen. Congrats on the anniversary! 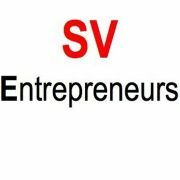 As an entrepreneurial software engineer who just moved to the Bay Area, I am excited to become an active participant in the community. I look forward to meeting you at one of the upcoming F50 events!